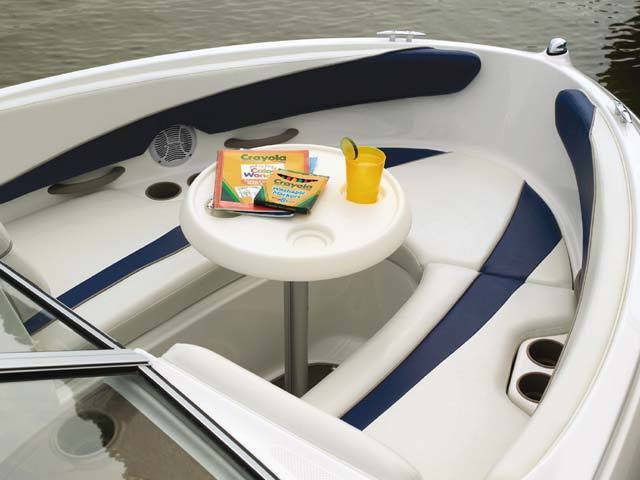 Bow area converts to sun lounge or seating area featuring a pedestal table with dedicated storage. 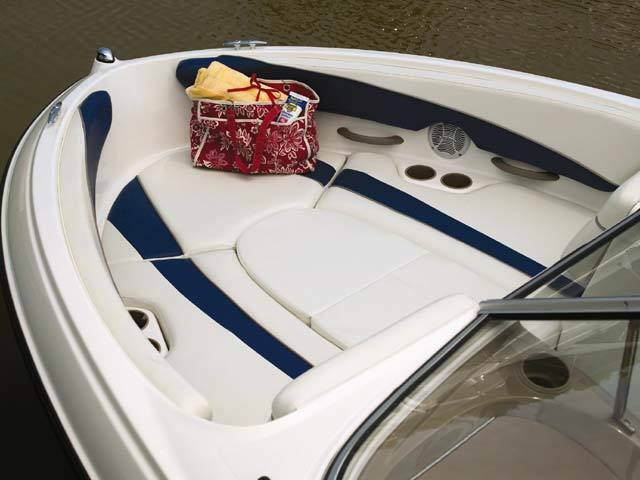 Driver's bucket seat adjusts and swivels 360-degrees to join in conversation. 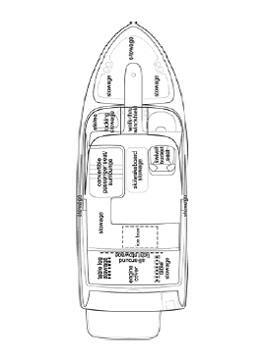 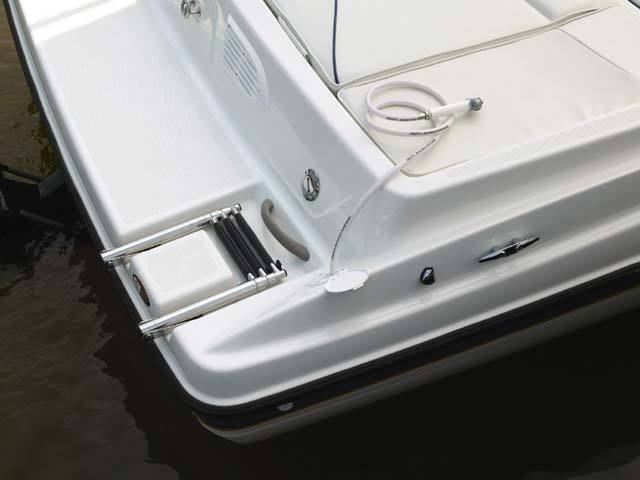 Engineered anchor management system includes convenient, molded-in anchor and rope storage in bow. 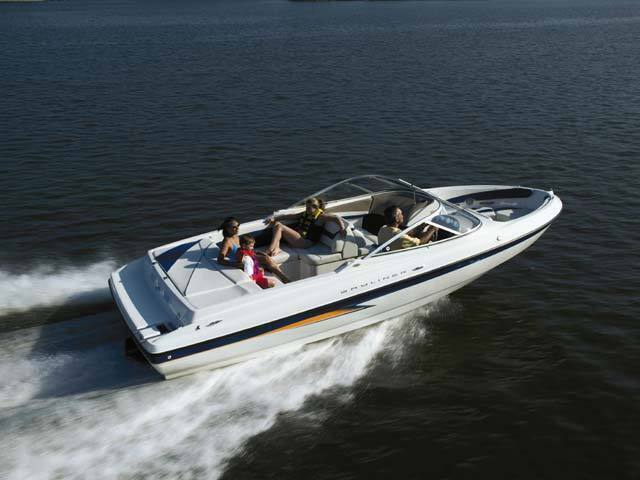 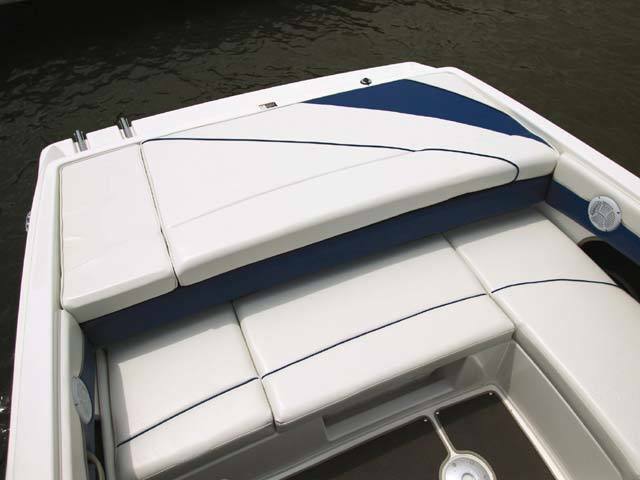 Full fiberglass liner is standard and makes cleaning the boat a cinch. 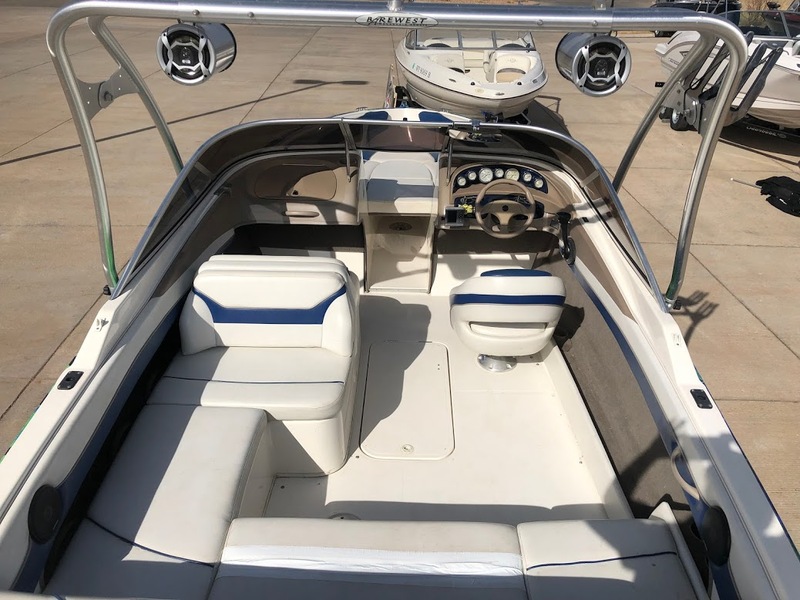 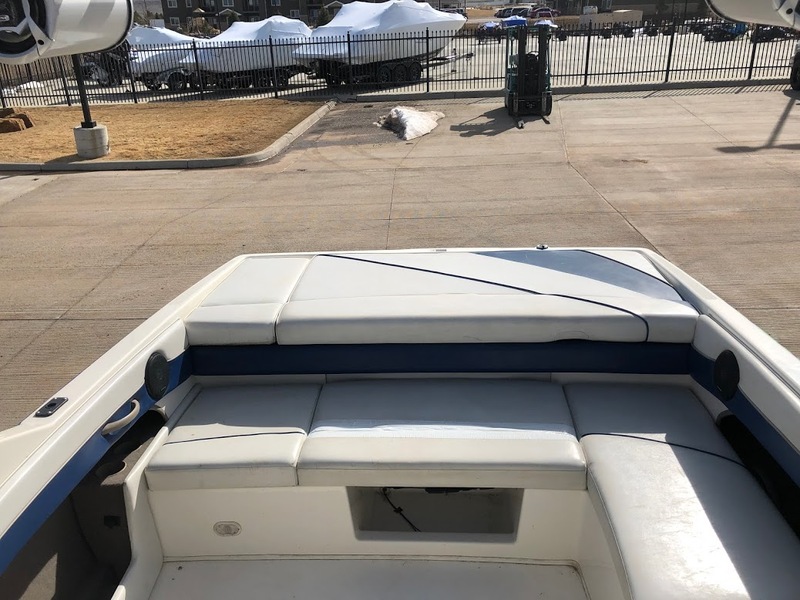 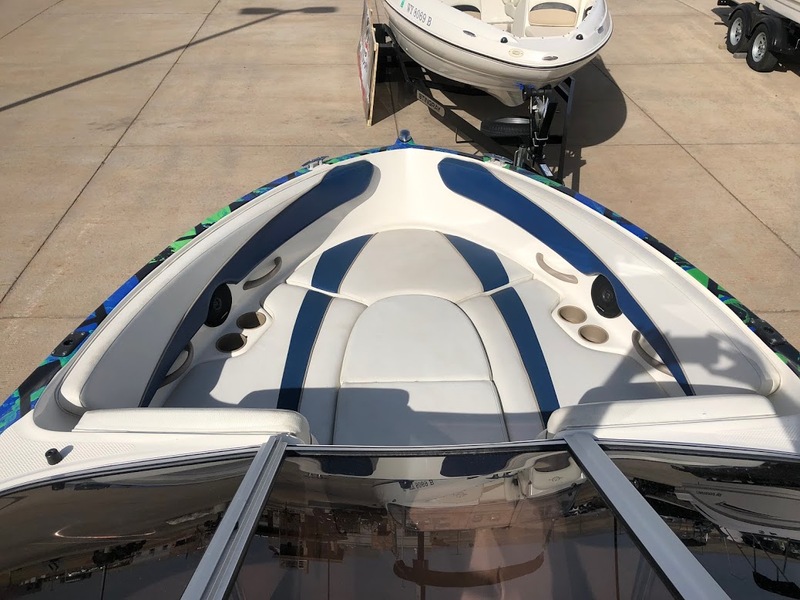 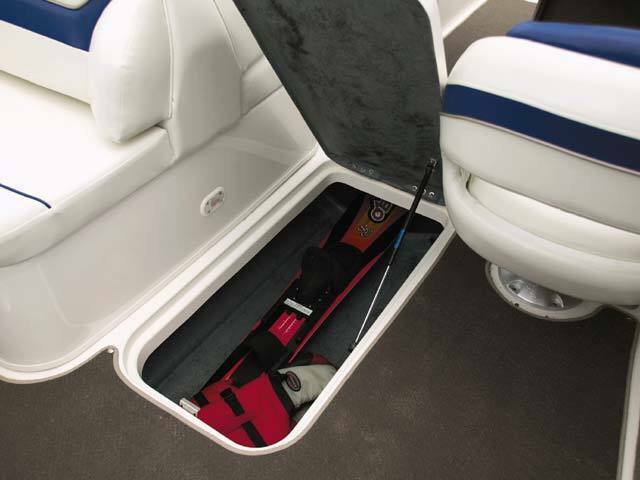 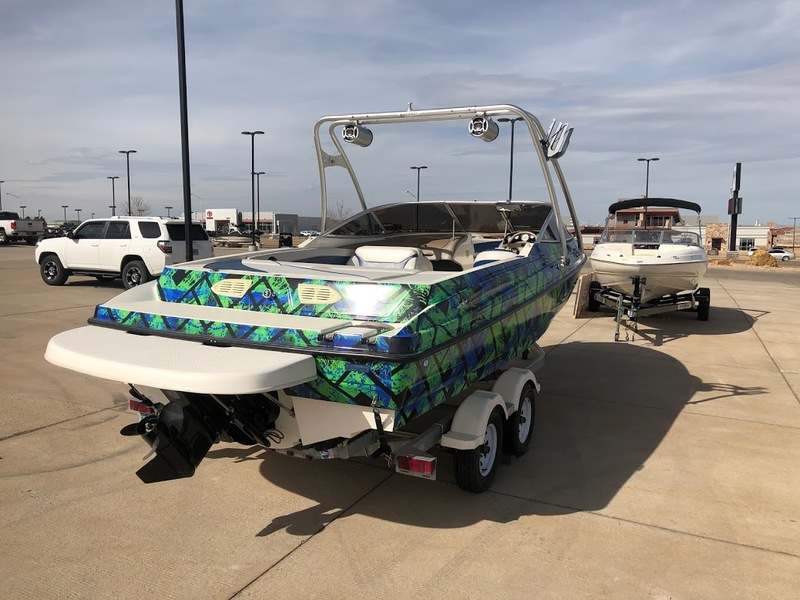 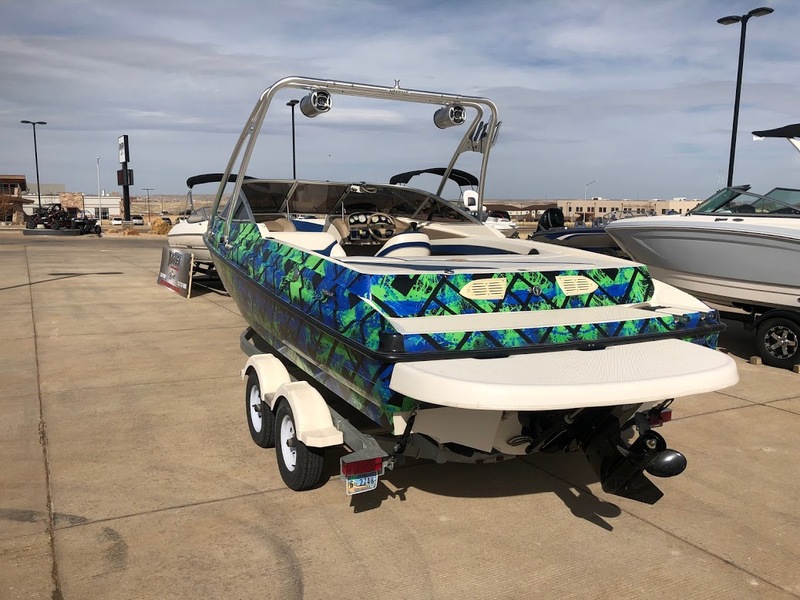 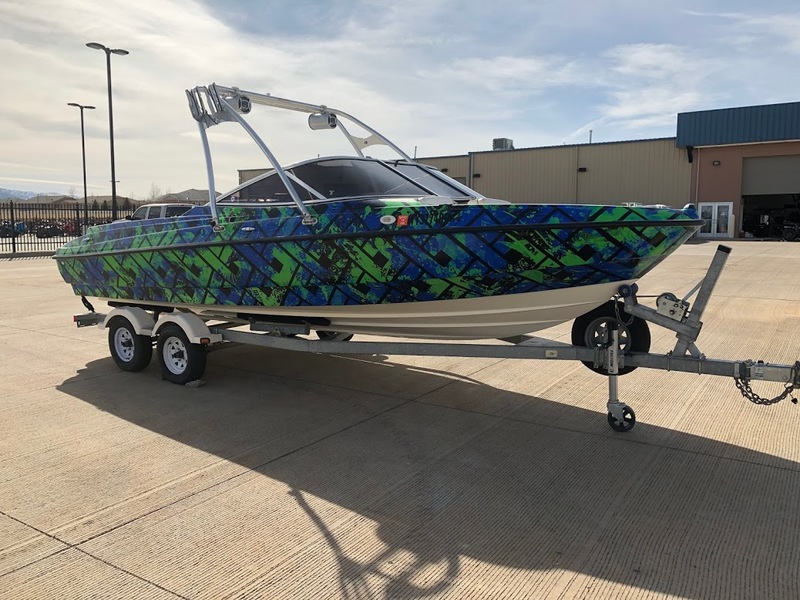 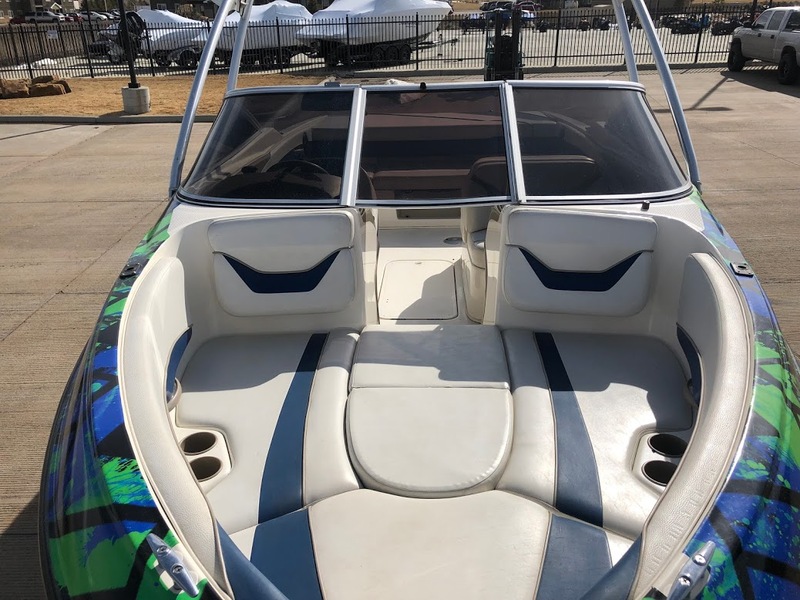 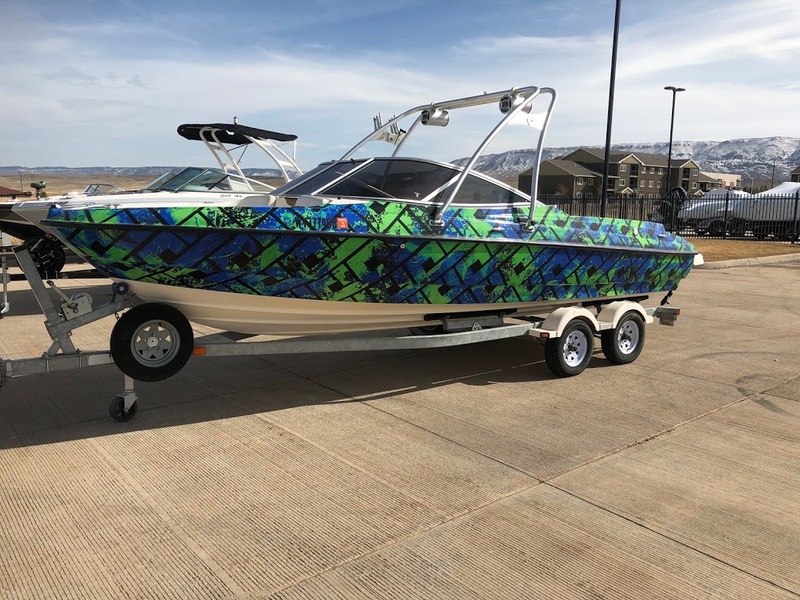 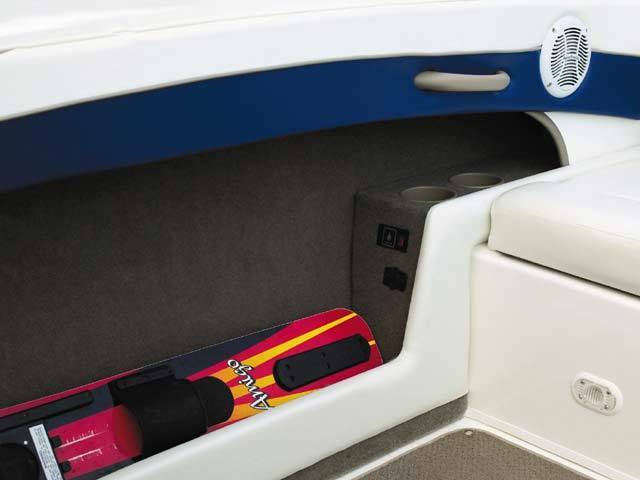 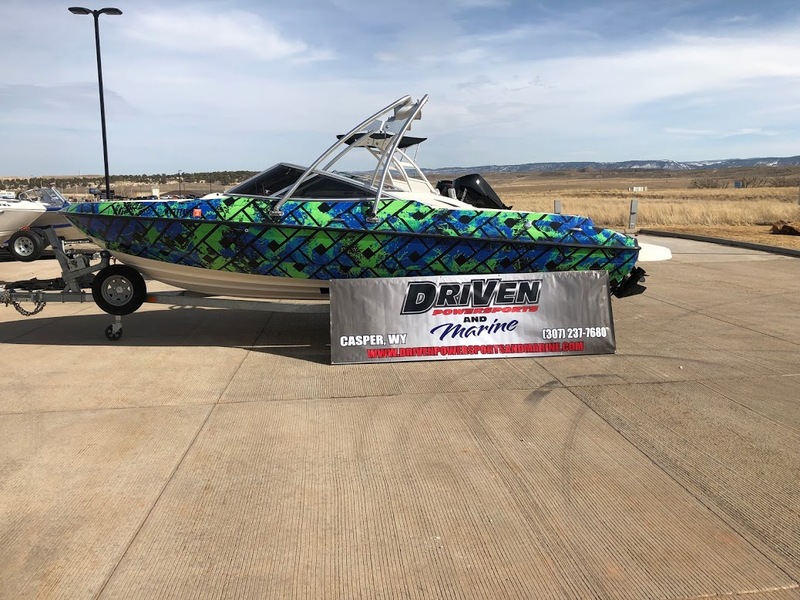 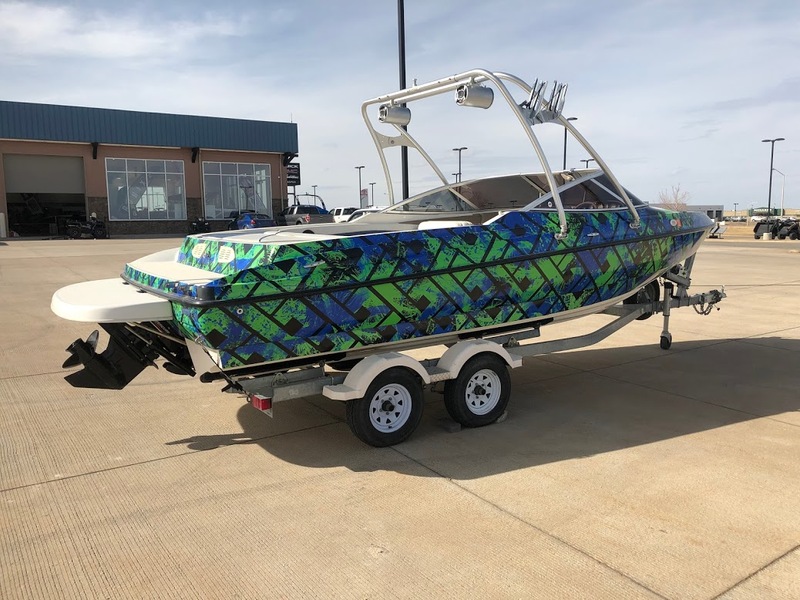 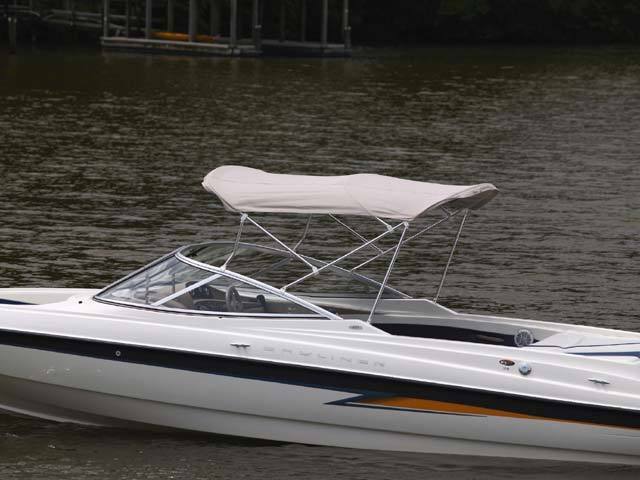 Large integrated swim platform with 3-step stainless steel ladder and transom walkthrough provide easy access for wet swimmers or boarding the boat. 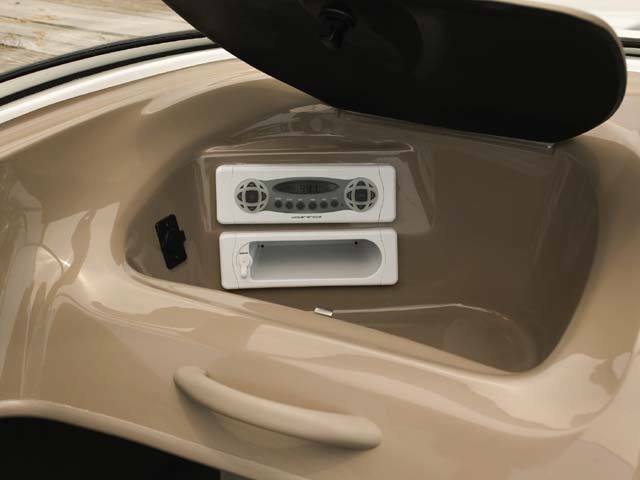 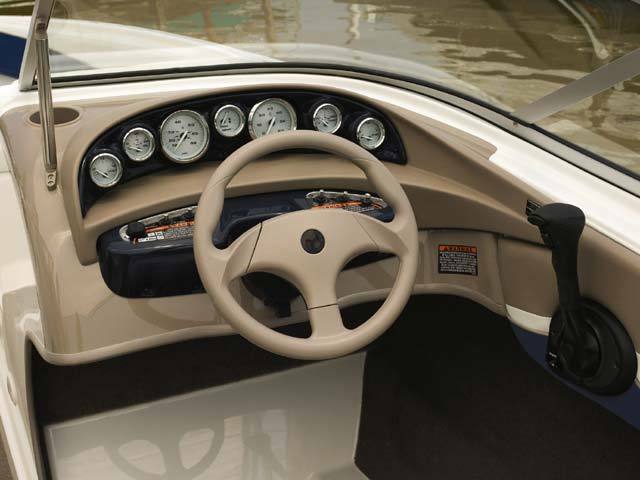 Tilt steering and waterproof AM/FM Stereo with CD controller and tilt steering standard. 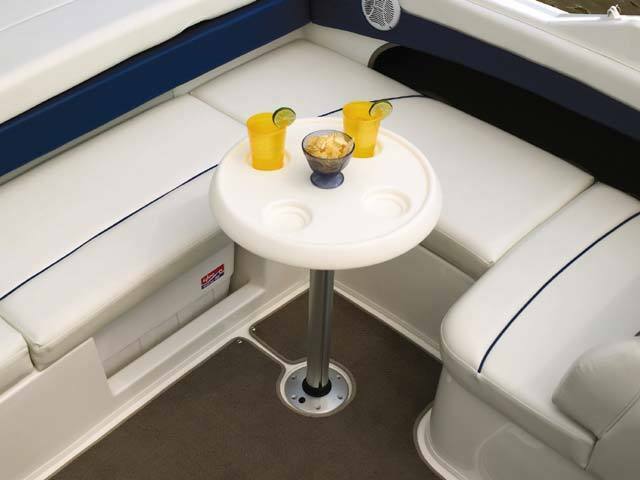 Unique "reversible" port cockpit seat extends the L-lounge into a large conversation area or sun lounge.